Gary grew up in Brockton, attended Brockton schools and graduated from the “old” Brockton High, as many area natives like to say. His father Edward (Eddie) was a master carpenter and builder, constructing custom homes in and around Brockton. His mother Virginia (Dinny) began her career in the shoe industry eventually working at Knapp Shoe from which she later retired. After learning a bit about his father’s business over the course of several summers in high school, Gary heeded his father’s advice to go to college. After graduating from Stonehill College, Gary began his career in public accounting with a firm in Brockton. Gary’s desire to simplify the complex for his clients and to assist them in making better financial choices were among the reasons he opened his wealth management office where he currently provides wealth management and financial planning services to entrepreneurs and high net worth individuals. As a Personal Financial Specialist with a Masters in Taxation from Bentley University, Gary knows life planning isn’t always easy and many important decisions families and small businesses must make are complicated. Gary’s planning process is very thorough and includes an extensive discovery method to review all aspects of his client’s financial world to uncover the knowns and unknowns. What this means is that his clients have the satisfaction of knowing that working toward their goals is his sole focus. 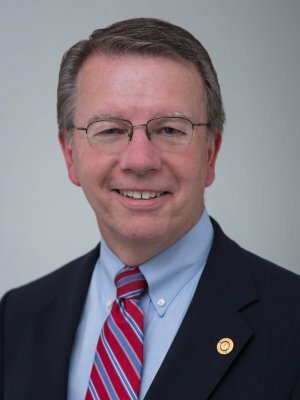 When Gary is not working with his clients, he serves as a Corporator and member of the Audit Committee of Bridgewater Savings Bank and is a member of the Rotary Club of Brockton and Thorny Lea Golf Club. Gary is active in his church where he serves on several committees. Gary and his wife Dianne have three children, Jon, Jeff, Amy, and five grandchildren. Gary enjoys traveling with Dianne and they often vacation in Aruba. Baalis Sanford Lodge, A.F. & A.M.
Bay State Commandery No. 38, K.T. Securities offered through LPL Financial, Member FINRA and SIPC. Investment advice offered through U.S. Financial Advisors, a registered investment advisor. U.S. Financial Advisors and U.S. Wealth Management are separate entities from LPL Financial. The LPL Financial Registered Representatives associates with this site may only discuss and/or transact securities business with the residents of the following states: MA, NH. © 2019 U.S. Wealth Management Brockton. All rights reserved.